Home / Blog / Does SSL Improve your search engine ranking. Google has over 200 search engine ranking factors that it actively considers before ranking any website in the search engine results pages (SERPs). Despite this knowledge, however, SEO experts rarely know how certain algorithms actually work. Google has very carefully safeguarded this information to avoid SEO manipulation and overtaking search engine rankings with unfair means. However, on August 6, 2014, Google did say something very particular. On this date, Google confirmed that websites with an SSL certificate (https://) would get an added advantage in the search engine results pages (SERPs). Precisely, Google told that if there are two similar websites — with everything being equal — the website with an SSL certificate will have a slight advantage over the other version of the site that does not have an SSL certificate. We still do not have a ton of concrete information about how much an SSL certificate positively affects and improves a site’s search engine rankings. But in this post, we are going to take a more in-depth look, with whatever information we have, at what it does and how it affects SEO and rankings. Let’s start with explaining what an SSL certificate is and how it works. SSL stands for Secure Sockets Layer. As the name suggests, it creates an additional layer of safety that protects the information visitors choose to share with a website. When a visitor visits an https:// website, the SSL certificate ensures that whatever information is shared, it will not be leaked to anyone. The encrypted connection protects the information. 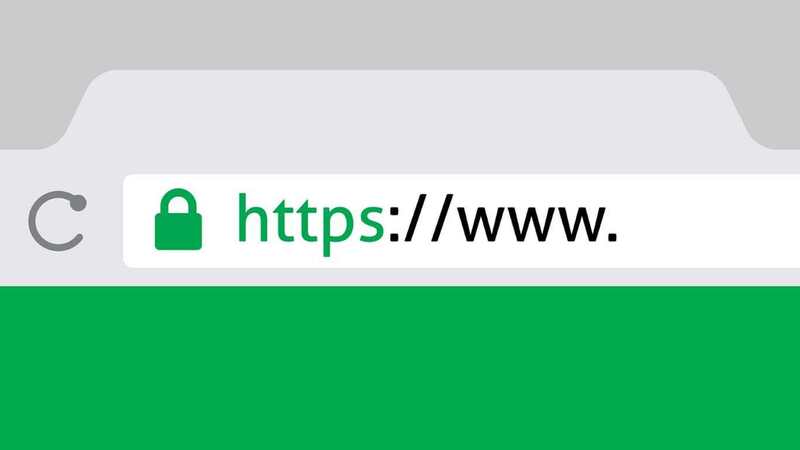 If you want to learn more about the basics of SSL certificates and secure websites, read a beginner’s guide to SSL and website security. How does it affect search engine rankings? Now that you understand what SSL is and how it works, let’s discuss its impact on a website’s search engine ranking. As we mentioned at the start of the blog post, Google has confirmed that a secure website with an SSL certificate will have an advantage over other websites that are not as secure and encrypted — provided other search engine optimization (SEO) factors remain the same. Calculating the precise impact of the SSL certificate on a site’s SEO rankings can be difficult. For instance, it would be hard to judge the real impact of an SSL certificate on a site’s search engine rankings when it is compared with another website in a similar niche but with thousands of more powerful backlinks. In that case, perhaps the advantage of having 1,000+ extra powerful backlinks is significantly more than the disadvantage of not having an encrypted secure connection (an SSL certificate). Therefore, website owners should understand that having an SSL certificate won’t just magically propel your site to the top of the search engine results page. However, if they are taking care of the other search engine ranking factors and doing all the other important things right, having an SSL certificate will give them the much-needed boost to overtake other websites in a tough and competitive niche. There are several case studies that prove a boost (or jump) in the search engine rankings. Cloudtec experienced almost double the number of top 10 search engine rankings after they switched from http:// to https://. These are some of the direct effects of HTTPS on a site’s search engine rankings. Apart from these, an SSL certificate also indirectly affects a site’s rankings and improves its bottom line. There is no doubt that an SSL certificate (a safe and secure website) significantly improves the user experience. If a person lands on an unsafe website, he would see visible indicators that the site is not secure, and that he should quit browsing it. Google Chrome is making sure of that. By explicitly shaming unencrypted websites, Google Chrome is creating the much-needed awareness about internet security among general internet users. They are now much more aware and hesitant in visiting unencrypted websites. Acquiring personal information on http:// websites (sites without SSL certificates) is getting even more difficult. The point here is that websites which offer a poor user experience can never consistently rank on top positions in the SERPs. Unencrypted websites without SSL certificates fail to deliver a good user experience. Suppose an online user searches for a particular keyword and finds your website via Google. He clicks it, lands on your homepage where he intends to fill a form and is instantly greeted with a Google Chrome indicator that the website is not secure. He quits it within seconds of landing on it. Google notices this behavior. If too many website visitors do exactly this — which it would be in this particular case — Google will ultimately demote your website in the SERPs. Because so many people would be quitting the website so soon after landing on it, it would appear that your website is not worthy of being ranked so high for that keyword. The indirect effect of having an unsafe and unencrypted website eventually leads to a demotion in the search engine results pages. The domino effect further pushes it down. Fewer traffic views mean fewer opportunities for creating backlinks, viral traffic, higher engagement rate, etc. 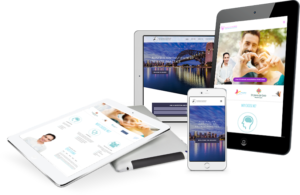 If you want to survive and thrive in today’s digital landscape, you need to have an encrypted website. Make sure that you have an appropriate SSL certificate for your site and that it is 100% encrypted and safe for your site visitors. If you are not sure what type of SSL certificate do you need, read Contact Us and we would be glad to help you decide.